Let us help you tell your client's story with video. Everybody enjoys a great story and MediaZeus has perfected the art of telling fantastic stories through video production services. You’ll want your videos and more to be done right, and Media Zeus is the smart choice. We have created a turnkey system for marketing agencies to stake a claim in online video. The system helps our agency partners integrate video production into their current services and/or provide a quality expert to manage the production for your client. We love producing videos and would love to partner with your agency to produce more! We produce a business web video for your agency which will not only enhance your online presence, it will serve as an example to clients interested in the video service. Your agency treats the added video service as their own and introduces it along with related online marketing services. Our wholesale pricing makes it easy to generate additional revenue streams for your agency while cutting down on time attempting to manage it yourself. Our professional video production team is capable of producing any type of video, anywhere. We have a network of 300+ videographers who help us film for our clients on a weekly basis. Our work includes business web videos, commercials, training videos, and company event videography. All client communication is managed via our unbranded Basecamp interface. In addition, we are available for client calls and can conduct business through your branded email. Our help documents provide answers to common questions on video details to help support sales teams. We're available for any type of request or clarification. We've made our production process an easy and fun experience to integrate into your services. You'll have unlimited access to a library of resources, video examples and pricing information to help you succeed as a video production provider in your area and to your clients, nationwide. Our nationwide videography network, "Video Everywhere", is comprised of 300+ qualified videographers across the country. 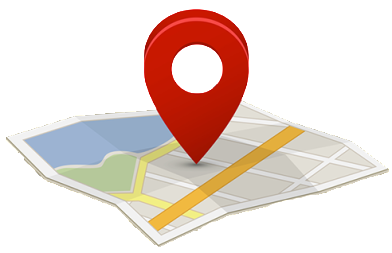 No matter your client's location, we've got you covered! We do the work, you take the credit. Our white label service makes it easy for agencies to integrate video services into their current offerings. Increase revenue streams and bring production headaches to an end. We accept straight referrals from agencies who want to bring us into the project with their client. Our production process is flawless and we're able to collaborate with you and your client in a production and professional manner.